Into the skin on the duck fillets nick squares, rub each breast with the mixed spices and put aside for a few minutes to pickle. Meanwhile fry the vegetables in oil and season in the end with pepper and sugar, pour with soy sauce and vinegar. 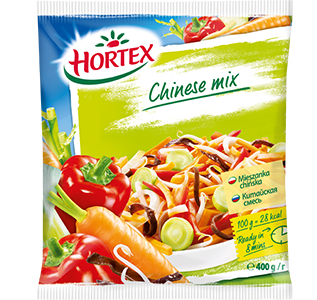 Prepare the noodles according to the instruction on the package and add to the vegetables. Fry everything for several minutes. Duck fillets place on the pan on the skin side and fry both sides for 4-5 minutes. Afterwards put the duck into o up to 150°C preheated oven and bake for about 10 minutes. 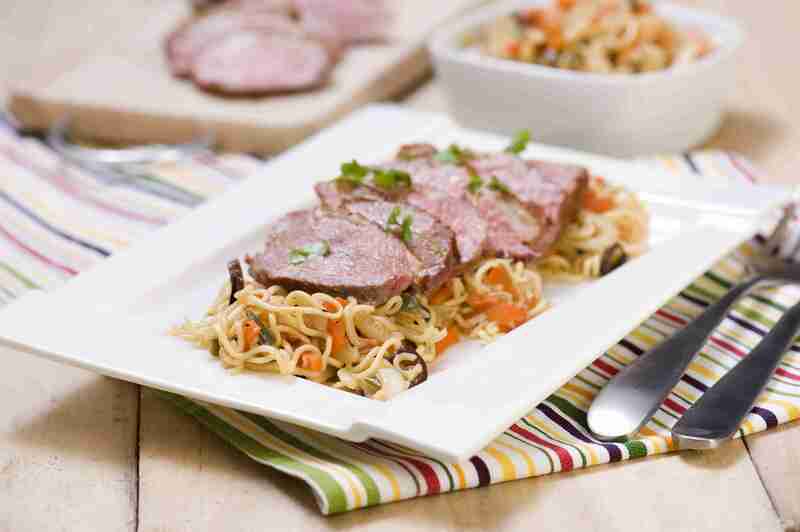 Hot duck fillets cut into slices and place on the vegetable noodles.